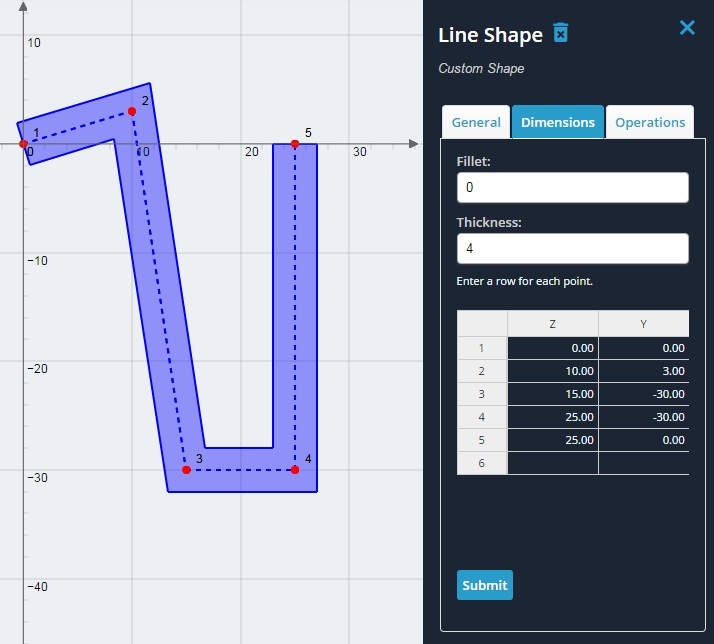 Line Shapes are a type of custom shape that can be used to define your own shape. 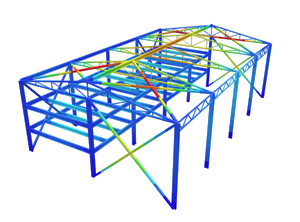 They are defined by a point path, a thickness, and optionally a single fillet radius value. If no fillets are desired, simply leave this value as 0. 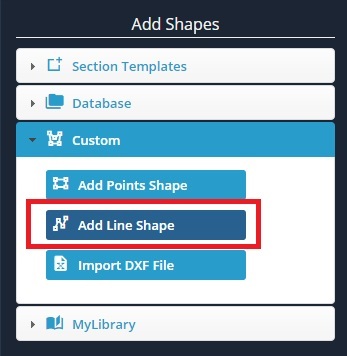 This is a useful feature if the shape you are trying to create has a uniform thickness, such as with a type of folded section. It is quicker than defining all the points of the shape as with a Points Shape. 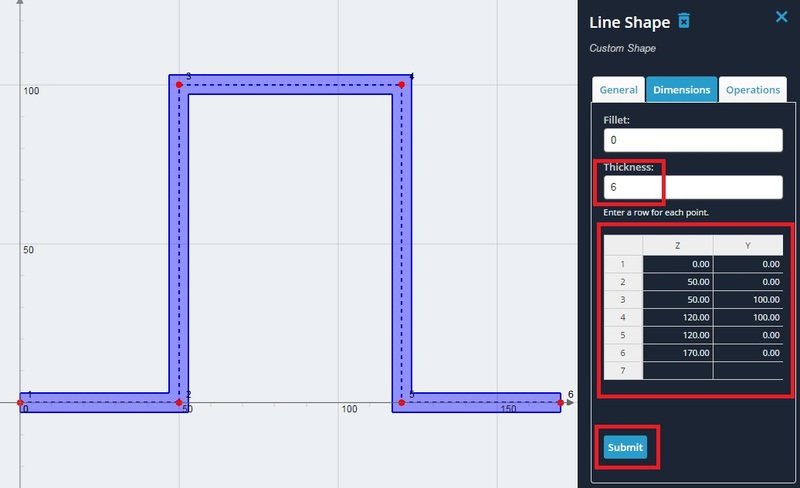 1) Expand the ‘Custom’ menu on the left, and click the ‘Add Line Shape’ button. 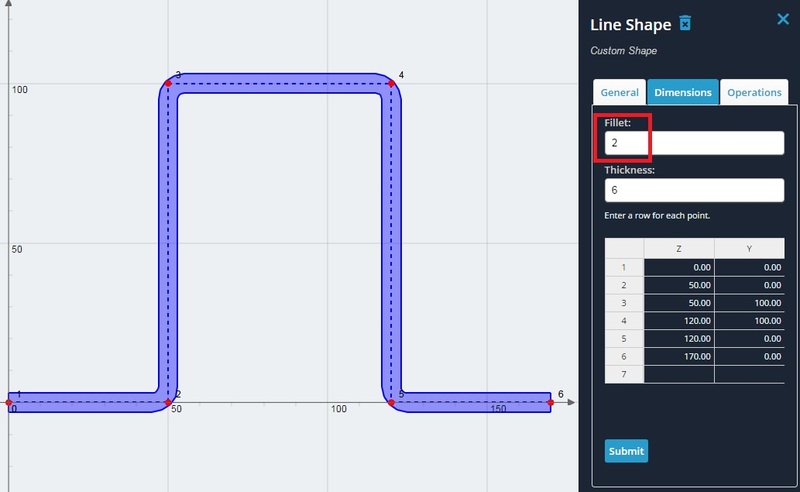 An ambiguous, general looking line shape will be drawn by default. Note the dashed line which draws the path of the points defined in the datasheet. 2) Change the values as below. Each row represent a point of the line path. Change the thickness value to 6 mm. Click the ‘Submit’ button to make the edits to the Line Shape. Note the new shape on the design area. 3) Change the value for the fillet to 2 mm. Note the uniform fillet at each corner/bend of the line shape.